Panhandle Chapter Trout Unlimited Seeking Project Proposals. The Panhandle Chapter of Trout Unlimited is accepting proposals for projects that best address the needs of native and wild trout following TU’s Protect, Reconnect, Restore, and Sustain conservation model. The PCTU is interested in projects that may help restore stream habitat, improve fish passage, or protect water quality. 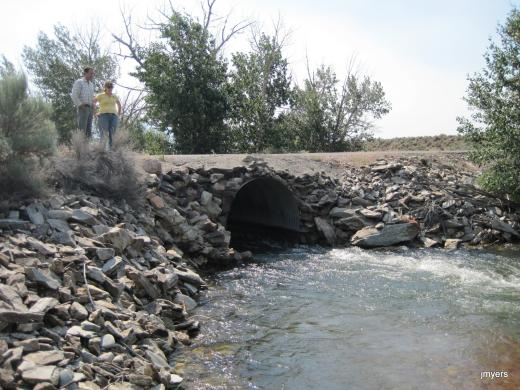 Examples of projects that will be considered include replacement of culverts that inhibit upstream passage by cold water fish, stream bank/riparian restoration or stabilization, fish passage diversions, and stream habitat restoration. Additional information is available at panhandletu.com. Anyone who has knowledge of a potential project is asked to contact Chapter President Don Childress at (208)255-7928 or at dwc1rsc@televar.com.